What do I need to buy before I bring my new rabbit home? 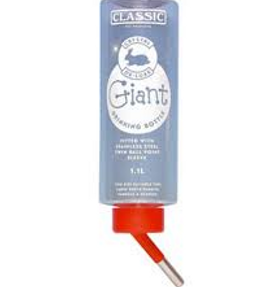 The minimum recommended size for a hutch is 120 cm . It is essential that your rabbit have the room to stretch in all directions. A rabbit hutch that’s too small can affect your rabbits health – causing muscle wastage and obesity. Wooden hutches are ideal for outside hutches cause it is easy to fly screen. 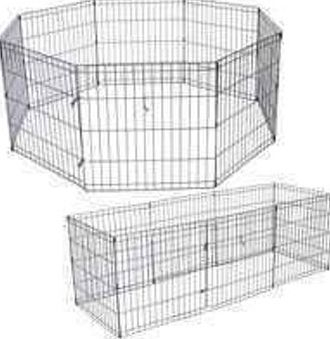 Cages is ideal for inside since your rabbit have more interaction with you. It is difficult to fly screen these hutches their for ideal for inside however it is easy to put outside for during the nice cooler weather and to bring in for extreme hot days. The cage can be purchased without the stand. It make it easy for bunny to hop out and play and bounce back in to go eat or use the litter tray. Rabbits should also be allowed out of their cage frequently unless your hutch have a play pen area already attached to the hutch. Rabbits need to play and exercise in a safe environment. A pet playpen is ideal for this purpose. The Reject Store sell them for $35. 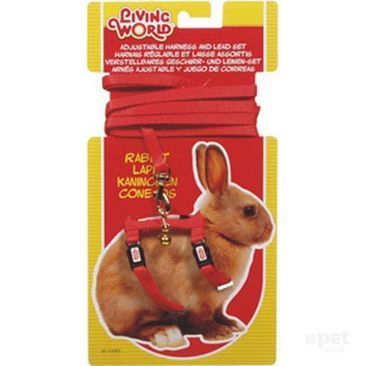 If you prefer to have a safer option then you can take your rabbit for a walk with a harness. They are available at pet stores. Harness and leads are available at pet stores. 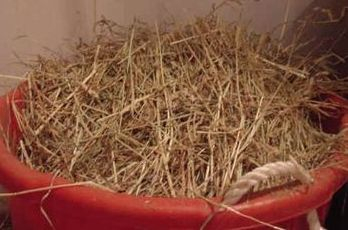 You can use wood shavings or hay for bedding. Some people use shredded paper which is also a good idea. Newspaper is not so good. It stains their feet green due to the ink and is not absorbent at all. However it is your choice and good to try all different ways to see what work best for you. It is easy to litter tray rabbits so get a litter tray. Something that do not take too much space up in bunny’s hutch. 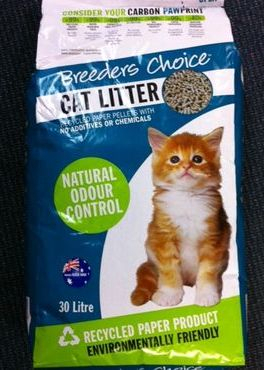 The reject stores sell litter trays for $3 as the yellow litter tray in the photo. A triangle litter trays is good cause the urine can not leak in between the hutch and litter tray cause the back is much higher for this purpose. Stay clear of types of litter that aren’t suitable for rabbits, such as scented kitty litter. 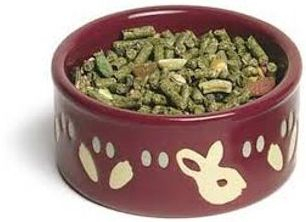 You can find a kitty litter that is made of recycled paper that is very effective for rabbits. Available from Coles or Woolworths. Paper is not good cause it is not absorbent and do not help with the smell either. Saw dust can be used however it is expensive and messy. Rabbits will need hay. All kinds of hay is good especially oaten hay. 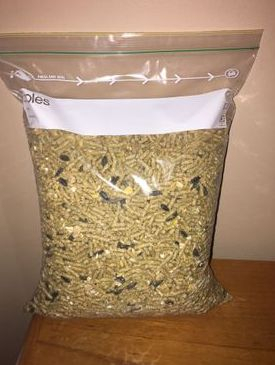 A rabbit pellet mix available from pet stores or City Farmers. 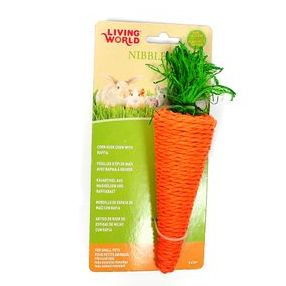 I do sell 2.5 kg bags of food which is helpful to give your bunny a longer time to wean from my food to your food. To make the transition easier. Also to prevent it that bunny do not stop eating all of a sudden cause it is new food. 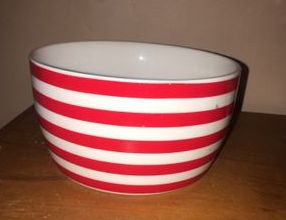 A heavey feeding bowl of ceramic (not something that is too light, bunnies like to play with it and toss it in the air then all the food is out). Water bottle not smaller than 500 ml. Convenient if you do not want to change water daily. A water bowl is also efficient however hay fall in and sometimes droppings so water need to be changed at least once a day. No need to spend a lot of money on expensive toys. Rabbits love to play with empty toilet rolls with hay in. Little empty boxes is also a great toy. 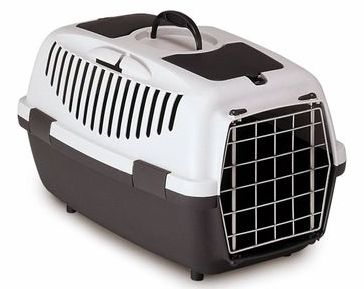 You do not need to buy a pet carrier just for the trip home. A box or laundry basket is also good. inside to prevent heat stroke. The Reject stores sell some for $18.